A common health problem that the elderly face is high blood pressure which puts seniors at an increased risk of heart disease and stroke. According to a new study, eating 1 cup of strawberries and blueberries a week can help lower blood pressure. The study followed thousands of men and women for a 14-year period. Men and women who consumed the highest amounts of anthocyanin from strawberries and blueberries had an 8% reduction of the risk of developing high blood pressure compared to people who had the least amount of anthocyanin. 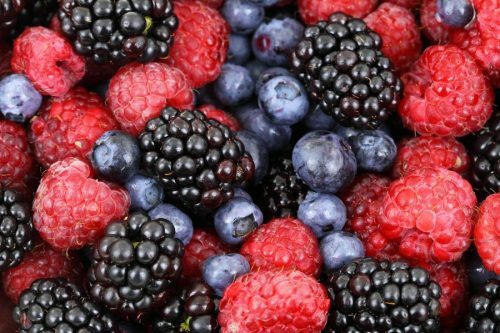 Anthocyanin is a powerful antioxidant which not only gives berries their color but powerfully act in opening up blood vessels in the body allowing for better blood flow and lowering the risk of high blood pressure and thereby lowering the risk of heart disease and stroke. Although the risk of reduction was more pronounced for people 60 years and younger, it still had noticeable benefits for people who were over the age of 60. The study also showed that the effects were direct and not just coincidental, meaning that it took into account people’s family history and general diet as well. The study is part of a growing number of research directly linking proper diet with healing in the body. The elderly can still maintain proper health and bodily function by observing a proper diet that is rich in veggies and fruits and low in processed and artificial ingredients. Before taking on any diet or nutritional advice, please consult with your doctor to see if it is safe for you.